Q: Hey again Sub! Thanks for making this a constant thing. With 0.5.12 having been implemented around two days ago, there is already much dissent to be heard in the playerbase – some have had success with the new system, and others the opposite. Adjustments of playstyles aside, it seems that two main groups of players have been hit negatively by the economy overhaul; Co-Op players, and CV Players. As Damage is no longer as valuable or viable to depend on to do good, and tanking is arguably suicidal for a CV player, many have been reporting difficulties in making profits now. Many people are also not satisfied with what seems to be an intended shift to Air Superiority load-outs for the USN CVs with the increased rewards for downing planes, as some find it limiting, sub-optimal, or simply boring. Co-Op players, with the overhaul, are consistently earning less too, due to the nature of Co-Op resulting in less rewards as a whole. I have heard that it is not intended for Co-Op to remain a mainstay of the game after players have learned the game, but I have also heard that a sizable amount of people exclusively play Co-Op. Many players may find the game unappealing if their preferred PvE gamemode is no longer financially viable. What do you think of any possible changes to this new economy if the results after a lengthier period of time continue to reflect these two sentiments? I understand that, as the overhaul was days ago, you guys are probably watching the stats for anything to be concerned about. If there will be a change, what time-frame can we expect it to be implemented? A: Hi, you’re welcome. Co-op players: we applied heavy maintenance reduction for PvE this week. It should be fine now. CVs: we do not expect CV players to go and tank damage. Actually, new income structure was developed upon real server stats per ship individually. For example, all CVs are not very good in tanking or capping – that’s obvious, and we did not set valuable share of these activities for them. But some ships inside a class may differ too. Pensacola and Myoko have different “tanking” stats, so they were adjusted accordingly. That said, we notice all negative CV feedback on the changes. And currently we are researching this matter to see whether any tweaks are needed. CV AS: AS gameplay is different, and we do not expect all players to love it. But we encourage it, because it was completely unbalanced against Strike gameplay economically while being quite contributive. The goal of new economy is to make the game better, and to encourage active and engaging gameplay. If we find any problems with that, we will fix it. 25 mm citadel deck you mentioned; 32 mm deck you cannot see in port viewer currently (it is bow internal deck); 152 mm belt (you can see a part of it behind anti-torpedo bulge; 102 mm transverse (in game 102 mm layer is a sum of several IRL bulkheads); It is located underwater and extremely hard to hit. Most part of damage to Warspite is bow/aft/casemate/superstructure, so this part does not play a vital role in ship in-game performance. On the other hand it is logical to be included in the citadel, remembering its initial function and armor (these are two main criteria). Q: Great! Just when I wanted to ask you which mode you’ll go with these Q&As in the future! Much appreaciated. QUESTION: When can we expect to see the old (from CBT) Anti Air graphics  back in action (esp. sound effects)? Probably as a toggle on/off switch to compensate for low performing PCs. A: We checked, double-checked and even triple-checked AA effects change log. We didn’t change anything. Either I did not get your question or there’s some misinterpreting. AA effects density depends on ship AA specs, number of mounts, etc. If you can display what you mean in any way, PM me. But for now it seems to be in the same condition it was before. As for sound effects, overall sound design has been improved greatly, and our sound team always paid maxiumum attention to players’ perception. However, there are some things in AA sounds we would like to change and improve. It is planned for one of upcoming updates. We sincerely hope you will like it. Hi. I did not manage to find a source for that statement, but anyways, this is quite expensive in terms of performance and production efforts. Currently we are not working on such visual effects. We are focusing on enhancing what we already have. For example, the solution for small objects (wires, lines, cables) anti-aliasing is currently in being implemented. It’s good to hear you like Saint-Petersburg port! However, its lighting scheme is basically a workaround. Our game engine currently does not allow normal multi-source lighting, which is needed for proper night battles. When it is updated eventually, we will be able to implement such feature (and many others). Q: I’ll ask a question about CV economy after 0.5.12. I believe high tier BB economy is great now thanks to the economy change and WG can have credit for that one. It promotes more engaging gameplay. However CV is hurt a lot. I made a comment in other post I usually do whatever WG has asked me to do as CV to earn high number of credits in terms of teamplay. I used to earn 300~400 K on games like this before (while shooting down planes and spotting) but now after a really decent game I only earn a sad 200 K credit. I feel very punished for no reason. I had a great game with Scharnhorst but here I earned the usual amount of credits compared to pre-0.5.12 economy change. So I assume the WG wasn’t planning to nerf the CV credit earning or was that the intention ? A: There is a reply regarding CV above, which partially answers your question. However, I am happy to elaborate on that more. There was no intention to nerf CV. At most, some CV may have started to earn as much as other ships of the same tier (which is fair). Economy changes are designed for better connection between active team play and reward. This change may cause some players to earn less in some cases, and we’re analyzing the data we receive to see whether action is needed. We are planning to publish “debriefing” article on economy changes with some thoughts and information. So, stay tuned. Yes, there’s reason – currently in-game ballistics formula is considered a valuable asset in terms of game developement. However, this is more about corporate projects and should not worry players. I assume, players need not the formula itself, but penetration values for each shell to be more informed and effecient in the game. We are absolutely fine with it. We are going to add penetration values to game wiki in some form, and later, when we develop a smart way to show it, we wil surely add it to game client. So, when we talk about NDA, we refer to our method to implement IRL ballistics into the game, not to in-game shell specs. There is no use in hinding them. Q: Will there be some kind of armor penetration/time-to-target chart implemented into the game? It’s kind of hard to have to rely on the community-made chart, especially when the chart list isn’t that complete (it does miss a few ships, and doesn’t have time-to-target). You may want to check the answer above – it refers to the same question. Problem is that we want this chart to be easy-to-use and informative, and this is the main criteria for implementing it in game. At the same time, we’re working on penetration table for our wiki as a temporary solution. Q: Earlier, you have posted some information about how AA actually works. What I am wondering is what happens to the calculation, that you mention, when the amount of DPS being applied to a squadron changes due to entering 2nd, 3rd, aura and so forth or if a mount were to be destroyed, for example. I suspect it would try to remember old ticks but that it would dynamically update certain parts of it? But that’s purely an assumption, hence my wanting to clarify. A: Each aura works independently. So, when a squadron enters additional aura (it may be the same ship or another ship), it gets additional “destruction timer” and starts losing planes from this aura accordingly. When aura efficiency changes for some reason (e.g., some AA guns are destroyed, suppressive fire is activated or manual control is used), the “destruction timer” of this aura adjusts. If an aura stops targeting a squadron for some reason (e.g. player selects another target or the squadron flies away), the “destruction timer” ends. Squadrons do not “remember” any interaction from passed engagements, their HP is actually number of planes left. Q: Will you be addressing the skewed matchmaking for tiers 5 and 6, now that they cannot see tiers 3 and 4 respectively? They are uptiered much more often now, which is rather painful. The overall life on T5-6 got more complicated, this is true. However, this made things better for beginners on T3-4 and reinforced T7-8. Which is not a bad thing for overall game experience. On the other hand, we understand your concern and currently are trying to find a way to soften the impact of this change (which, again, we consider to be good globally). Q: Heya Phil, glad to see ya around these parts this time.The deck armor on the Montana doesn’t seem to have changed with 0.5.12, the armor viewer is still showing it at 29mm. When the armor change on BBs on the test server was reset, is it possible that the armor increase on Montana was scaled back as well? And that it slipped under the radar into the game unchanged? Hi, thanks. Yes, this is the exact case. We will fix it ASAP and give Montana the buff we promised. Sorry for the inconvenience. There is no plan to change loadouts now and to buff strike loadouts. We buffed USN fighters recently for more AS value, and for now are not going to change CV specs more. As for economical aspect, please see the two replies on that above. Q: Can we expect something like a test drive feature for premium ships so we don’t have to rely exclusively on youtuber/streamer opinions? It’s a nice idea, and we may implement it in future. 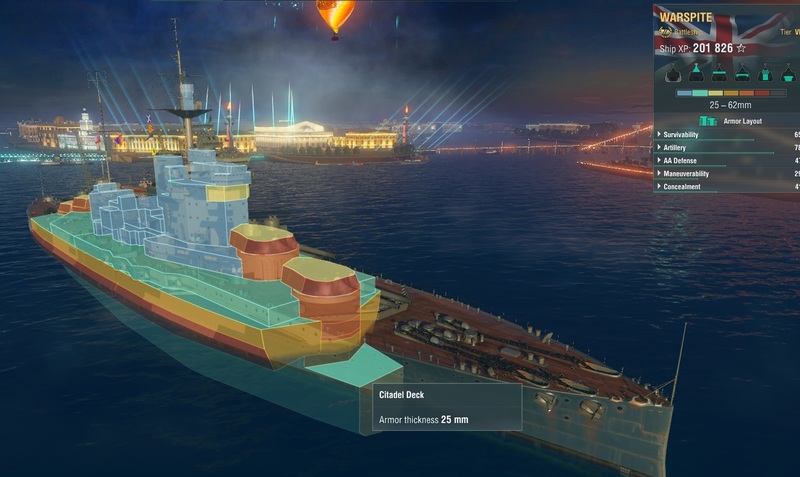 We also can organize premium ship TD during public tests from time to time. So, yes, you can expect some positive changes about it, but unfortunately, I am not ready to make any promises or name any dates. And let’s consider that premium test drive should be organized in such way that player can really understand and master the ship at least partially. Otherwise, one unlucky battle on Tirtpiz for a newbie may create a false impression and hurt both player and game. 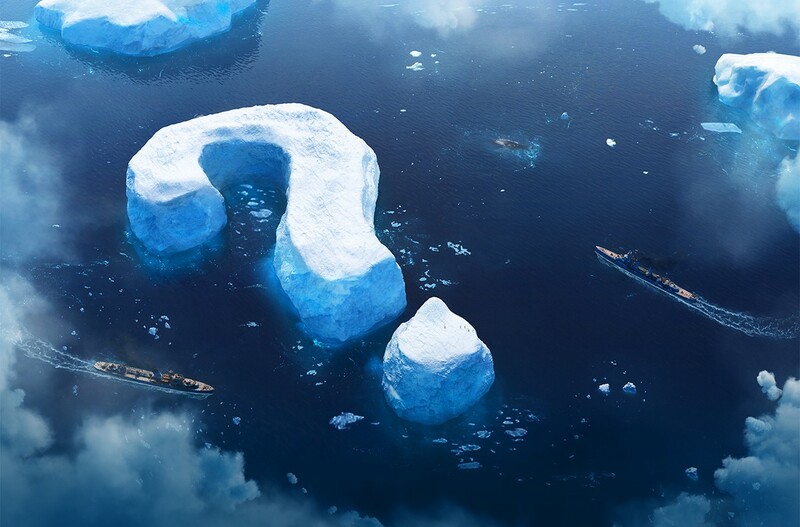 Q: Background – I run a clan with 50+ players on Warships, most of whom I recruited from the official forums. I set up a website and TeamSpeak3 server, and we run regular training sessions and have players online nearly every night. A few of my members also play World of Tanks – and some are hesitant to leave an established clan in WoT. Question: What is the implementation plan for clans in World or Warships to either compliment or stand-alone compared to World of Tanks clans? A: Hello! We aim for stand-alone implementation for players convenience. Q: Hello, I have question about unified account, with more detail. Devs said it is unable due to technical issues, but never mentioned what those issues are. I can understand about the free experience because of different experience income of WOT and WOWS, but can you explain reason for gold and dubloons? I checked the premium shop and found that price tags for gold and dubloon are exactly the same. For WOT and WOWP they are fully unified (even free experience) so for me it`s hard to see the reason why not for WOWS. Thanks! A: Hello! The problem is not with premium shop prices, but with the databases. Long story short, we cannot unify gold the way we initially planned without massive DB rework (or without constant technical issues with syncing WoT, WoWp and WoWs). We are trying to find a workaround for that, and surely we will announce the change when we’re ready. Q: As usual, cheers for the Q&A. Is the Torpedo Acceleration skill subject to reevaluation? The flat increase in exchange for a %-based number really punishes the high risk IJN torpedo’s. In the Shimakaze, no one would take the F3’s over the medium ranged torpedo’s since one can be used with TA, and the other can’t. So basically, the medium ranged torpedo’s end up having +-2KM more range at the cost of 2 knots or so. Type F3 may be used with TA skill. This is extremely dangerous, but hey, you will get 81-kt missiles. I know some players who are happy about it and like such play style. Type 93 mod.3 with TA seems very good, but this way you need to spend 3 skill points. What are they good for? For example, Basic Firing Trainig + Expert Marksman. Don’t underestimate Shimakaze artillery, especially with this buff. And F3 offer you 8 km range, freeing these 3 points for you. With the best concealment – 5.9 km – this is more than viable. After introducing TA skill and tweaking some of the torpedoes, we are quite satisfied with the variety we have. This is not likely to be changed. Q: Welcome back! Are there any plans to raise the captain point cap to realistically get 19 points? I have several 18 point captains, and most of them finished their main build with 1 or 2 or 3 left over points that weren’t really that useful. I’ve done theory crafting and have seen that having 19 points would open up new build opportunities that 18 does not. Thanks for you time! A: Hello! This cap is an intended temporary limitation. Captain skills improvement pack is currently in developement with several nice changes, including the cap solution. Overall goal is to add new layers of captain “upgrades”, add more variety and possible builds, adjust some skills in terms of costs and/or effeciency. I really hope you will be happy with the changes, and find more opportunities both for 18-points captains and for juniors. Stay tuned!